The story didn’t detail the new targets and a Goldman spokesman declined to comment. “Given the competitive dynamics in the marketplace, a respect for prospective risk management, and potentially changing priorities at the firm, we would not be surprised to see some scaling back or modulation of the growth plans for the unsecured lending component of Marcus,” a Credit Suisse report said on Monday. 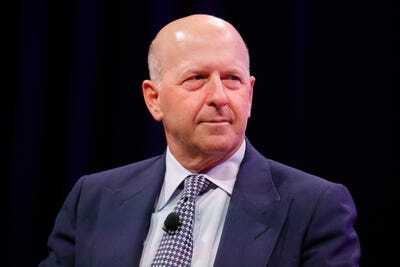 Marcus is a key part of new Goldman CEO David Solomon’s plans to grow revenue at the bank over the next several years. The company said last year it sees a $US1 billion revenue opportunity with Marcus over three years. As of June 30th, Marcus has originated $US4 billion in loans, the bank said. Yet as Marcus has grown, it’s raised questions from bank analysts about the credit quality of its loans, especially as the bank has said that a chunk of its loan book is subprime. Marcus was first launched in the US in 2016 and is a key part of the firm’s effort to diversity revenue sources and boost earnings as once lucrative trading revenue has slowed. Goldman Sach’s move to cut its loan targets came at a time when there is growing concern among lenders about the potential for increased losses in consumer credit amid rising interest rates. U.S. household debt hit a new peak to $US13.3 trillion in the second quarter of this year, while mortgages balances – the largest component of household debt – rose to a total of $US9 trillion during that period, according to the Federal Reserve Bank of New York. Meanwhile, total U.S. consumer debt is on pace to reach $US4 trillion by the end of 2018, a report by LendingTree said.